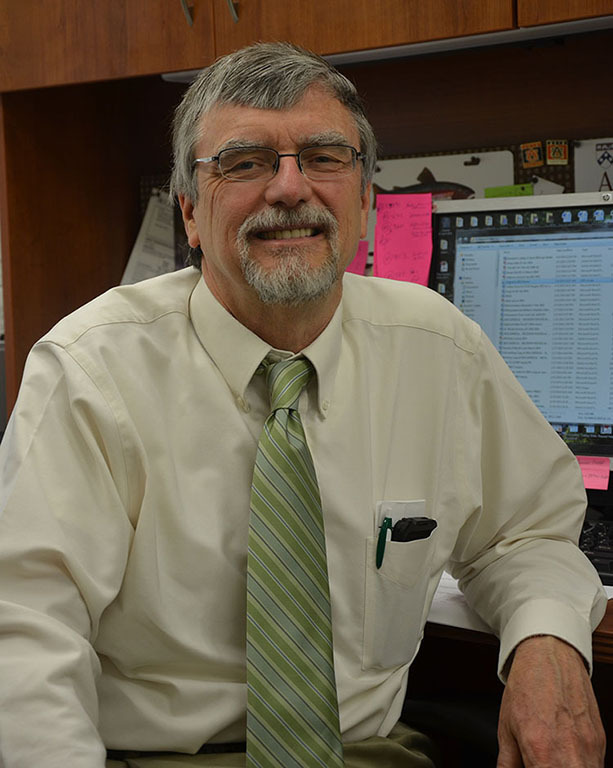 Home > Faculty > Cattley Russell C.
Dr. Russell Cattley, Tyler & Frances Young Professor of Pathology, earned the V.M.D. degree in 1980 from the University of Pennsylvania. He completed a residency in veterinary and comparative pathology, jointly conducted by Auburn University and the University of Alabama-Birmingham (1980-83), and board certification (ACVP) in anatomic veterinary pathology in 1984. He received the Ph.D. degree in 1988 from the University of North Carolina-Chapel Hill, where he completed his dissertation in experimental hepatocarcinogenesis under the direction of Dr. James Popp. He was appointed Assistant Professor of Pathology at the College of Veterinary Medicine at North Carolina State University in 1988. In 1990, he joined the scientific staff of the Chemical Industry Institute of Toxicology in Research Triangle Park, NC. In 1999, Dr. Cattley left CIIT to work at the biotechnology company Amgen, in Thousand Oaks, CA, where he became Executive Director of Pathology with responsibility for building and leading a multi-site group of pathologists and laboratory staff supporting Amgen’s research and development activities. Dr. Cattley joined the faculty at the Auburn University College of Veterinary Medicine in 2011 where he actively participates in the teaching and research missions of the college and serves in the anatomic pathology services of the Pathobiology Department. In 2014, Dr. Cattley was appointed Head of the Department of Pathobiology.